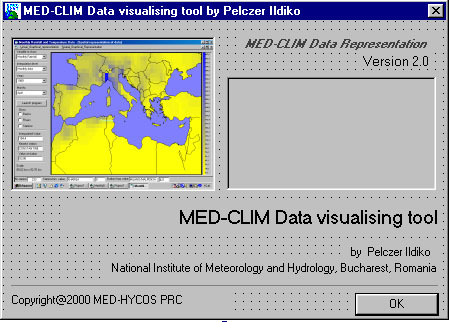 The main purpose of the tool MedClim is the visualisation and graphical linear and spatial) representation of climatic data from the mediterranean region, namely monthly rainfall and temperature values, including the derivated ( averaged monthly and yearly data). 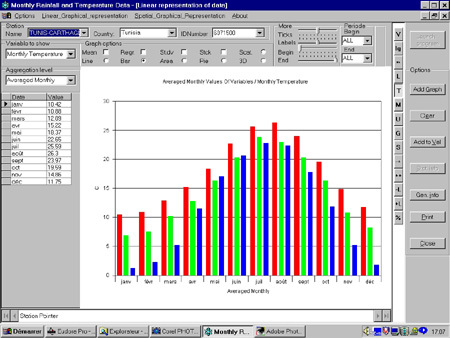 For monthly temperature there are 629 stations (25612 years) and 472 (33550 years) for monthly rainfall, from 24 countries from the Mediterranean region. 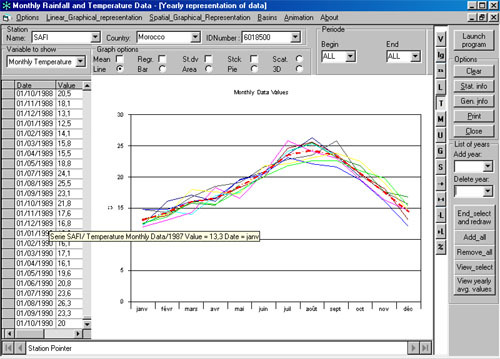 The data comes from the website of "Global Historical Climatology Network". Beside the time-series representation a module for spatial interpolation is available. The spatial interpolation can be executed on the whole region or on an user-defined surface (basin, country or rectangular region), for all the aggregations and variable combinations. 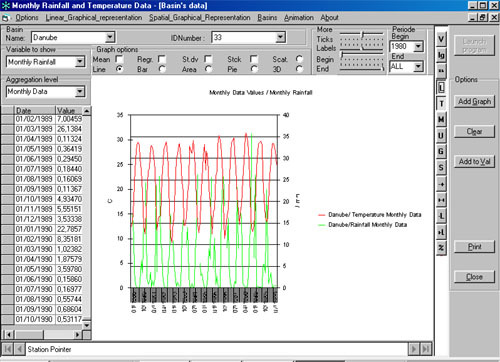 Based on the interpolated values, basinal average values were derivated, for the existing 33 basins. An animated projection of the images can give a general overview on the changes emerged in time. The tool also provides the posibility of computing a surface-weighted average on user drawn region, based on interpolated values.